Not Quite Monday : Bikes. Rants. Adventures. There was a feature a while back on Prolly's site for these excellent Eddy Merckx shirts. I managed to e-mail the artist just in time and snag one of the very last smalls! I don't get into too much cycling history on here because there are many other blogs that do it much better than this one, but that's not to say I don't love and respect it! 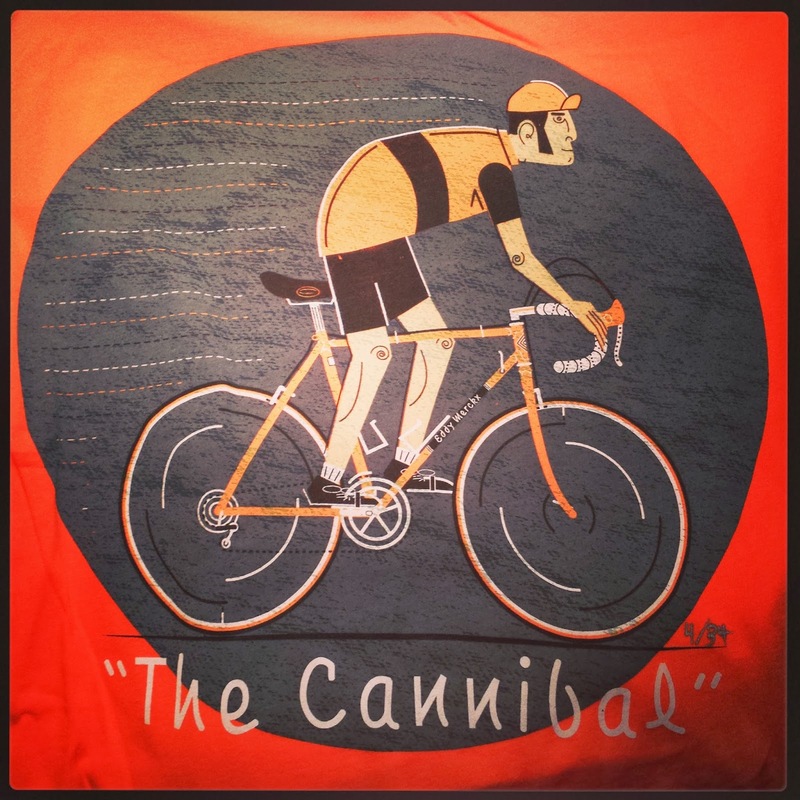 Eddy Merckx has always been one of my favorites, and this is actually the second Merckx shirt that I own. Unfortunately these were a limited run and the artist doesn't have anymore right now, but that doesn't mean you shouldn't check out the rest of his awesome work here.